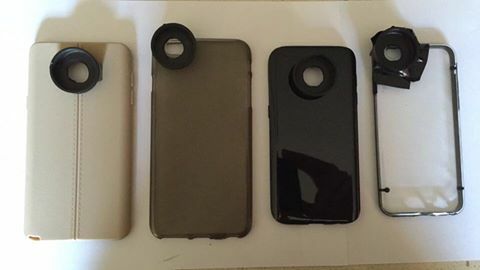 An old or inexpensive case for your phone - I found that a thin flexible TPU case worked well. Ed LaBelle suggests avoiding clear cases to minimize stray light. An eyepiece cap that fits inside the rubber eye-cup of the eyepiece that you use most often. Simple cutting tools and some caution using them. 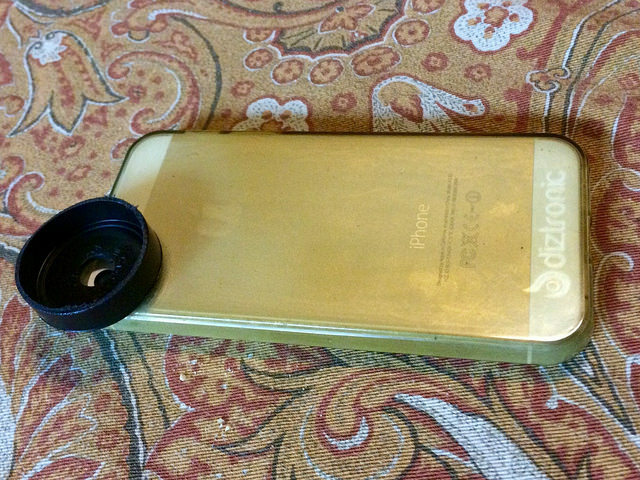 I used an old TPU iPhone case and an eyepiece cap with a flat top. Many eyepiece rubber eye-cups will snugly fit around a 1.25" cap, choose one to fit your eyepiece. Drill a pilot hole precisely in the center of the cap, then enlarge it to your camera lens size - 3/8" works nicely with an iPhone. Put the phone in your case and carefully center the cap on the camera lens. Trace the outline of the cap on the case back so that you can align it for glueing later. Before glueing the eyepiece cap to the case, you need to size it to the correct height. Once cut, your eyepiece cap will hold your phone camera at a distance so that the complete field of view fits on the camera image. 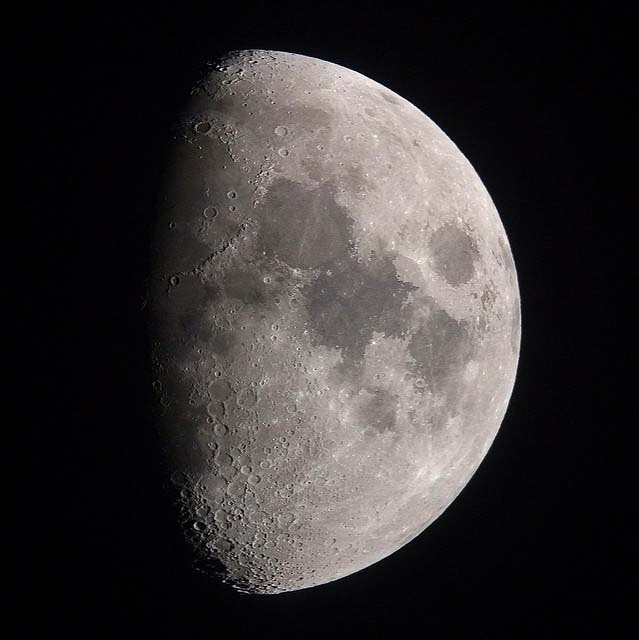 Point your telescope at a large bright target like the Moon or a distant daylight scene. Place the drilled out cap in the eyepiece cup. Carefully place the phone with case on the cap so that you can verify that your camera gets a good full view - within the eye relief distance of your eyepiece. If needed trim the height of the cap for a good view from your camera phone. I had to trim my cap to a slightly shorter height to get the perfect image. Once your cap is trimmed to the right height. Lightly sand and wash the case and the top of the eyepiece cap to get a good clean surface for glueing. I found that the best glue for this is a two part epoxy like J-B Weld PlasticWeld Quick Setting Epoxy. You now have an inexpensive, light, and elegant adapter case that you can slip your phone in for quick images through your telescope of terrestrial targets, the Moon, and bright planets. Visitors want to take photos of what they see in the eyepiece at star parties and a simple case like this makes it much easier. Ed LaBelle has made several of these cases for popular phones for AAS events. You will want to find a camera app that gives you manual exposure and focus locking controls. 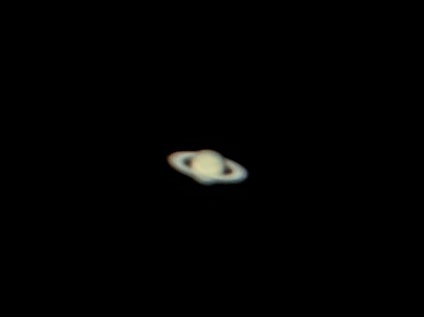 Using your camera's automatic mode with a telescope will almost always result in a an overexposed, out of focus image. 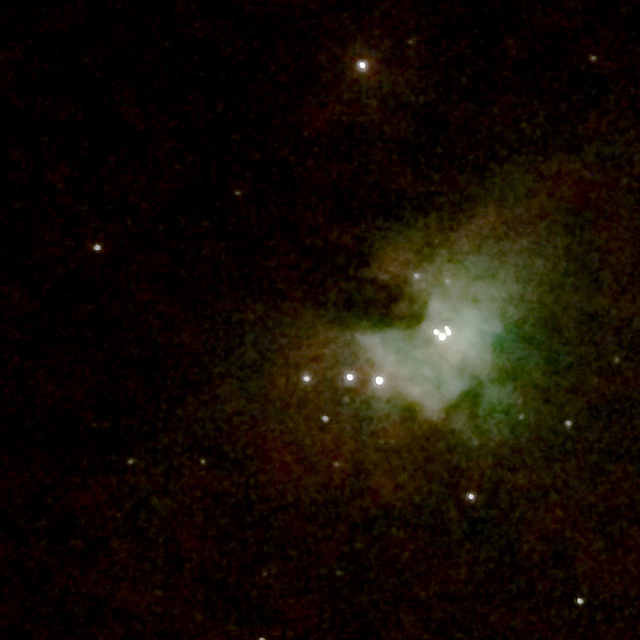 With a steady hand and using video or continuous shooting, you can even stack images for dimmer targets like M42 in Orion.